I could pull up Wikipedia, but let me quickly translate what most of us understand under the job-title “Digital Marketer”. A digital marketers is someone who wants to influence customers with websites, blogs, video’s but also with online ads, email and social media, so they will choose your brand. Something like that? I think you agree with me this is close enough as a definition. The exact definition is even not that important at this moment. Not so long ago Mashable published an infographic about the different types of digital marketing people they see. 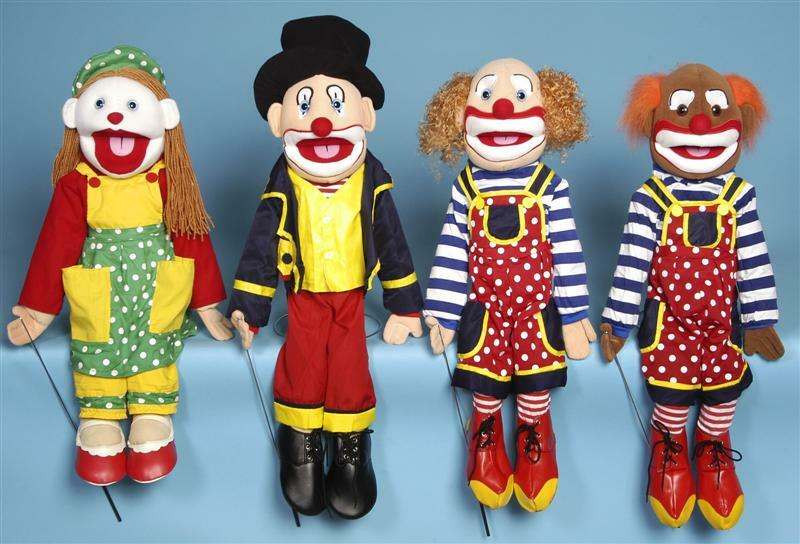 In that article they visualize “puppets” representing digital marketers who are all good in something: one is the social, the other is the data-person, and yet another is in the “let’s make it pretty” department. It keeps surprising me that we marketers have such a hard time in selling ourselves, and this article certainly doesn’t help. Why are digital marketers not busy with what is really important for the company? “Ja, right Tom, but our management is not ready for that kind of stuff” I can hear you say. “That all sound great Tom, but that kind of stuff is easier said than done.” I can hear others say. You are right. But as long as you do not take these things seriously, your marketing budget will drop each year. And your CEO will keep seeing your department as a cost, rather than a profit-centre. Do you know what your customers find annoying? What takes a lot of time? What do they consider difficult? And are you providing online answers to these questions? Do you understand the difference between the different online social networks? And do you know these are not promotion channels? Do you know the 4-1-1 rule? Do you plan your marketing activities in line with the interests of your customers? of do you plan these according to your own interests? How do you know what your customers consider interesting? And how do they describe their interests? Did you know “page views”, “open rates” and “number of followers” are actually less important? Do you know what ‘is’ important? Do you activate all employees in your company to create relevant content which is at the same time useful and fun for your customers to consume? Is social amplification something you are asking your employees, or is that something they just do? Do you know where your customers are, in the online world? and do you have a strategy to be present at those locations in a sensible and meaningful way for your customers? Do you know what your customers expect from your marketing? Do you have an idea how you set-up a marketing lead qualification process? and how you can positively influence that? Are you capable to reduce all your marketing efforts to a couple of numbers that show the contribution of marketing to the business? If you are not busy with the majority of this “stuff”, it’s high time you start being busy with this “stuff”. I mean, you do not need to know all the answers, but it should be something which at least keeps you busy to a certain degree. But how do I do this? Where do I start? from now in, in everything you do, ask yourself the question: how am I helping my customers with this? take your Evernote, and write down 10 questions your salespeople regularly get from customers. Now you have 10 blog posts that will be appreciated by your customers. next time when you are sending an email to your customers, think about it if the information in your email is promotional, or something your customers is waiting for. Rather, give him something which will make him want to come to your website, where he can discover more information which will make him decide you are the company where he wants to spend his money. Are you a real digital marketer? This post was first appeared in Dutch on Bloovi. 8 is huge. Build your campaign around these meeting points between you and where your customers hang…..and do not hang in spots where you cannot find your customers. I am baffled by how few marketers really target. Be where your customers are and stay away from where your customers are not. Facebook Groups, twitter lists, solo ad email lists….research each channel and again. spend your day being in the areas where your customers are waiting for you. I much rather prefer my customers to find me at locations where they also frequent, and they find me because I attract their attention. I attract their attention because I show that I understand them. I show that I understand them by the actions I perform online. How do you know what to do online? you customers can tell you that. You would be amazed what a couple of phone calls and the right questions can do.